HOW DO I CHANGE MY NAME IN FLORIDA? A name change in Florida is a straight forward process, and it doesn’t require a lawyer to accomplish. You will need to acquire the proper Florida name change forms and file a petition and associated name change paperwork in the circuit court in the county where you live. 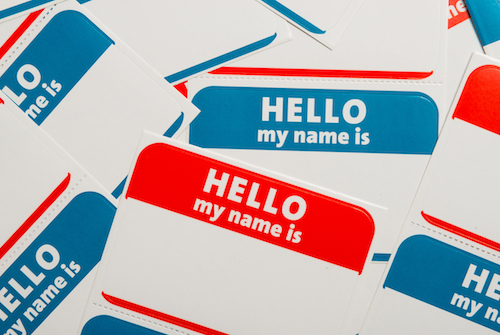 Reasons vary why people want to change their legal name. Some reasons are more common that others. You can change your legal name in Florida to a web URL if you want, or a phrase that promotes a cause that you are passionate about. It’s becoming common for females and males who identify as a different gender to change their legal name to something they feel is more suitable for them. Several customers had been using a particular name for decades only to learn that it differs from the name on their birth certificates. This becomes a problem when someone applies for a Florida Driver License or passport and the agent discovers that the name on your birth certificate doesn’t match the name on your other form of identification. Often, filing a Florida petition for name change is the only way to correct this issue. There are less than desirable names out there. Abcde, Adolph, Osama, and Boomquifaette, to name a few. Sometimes a name in one language means something objectionable in English. The name, “Hoe” in a foreign country probably doesn’t mean the same thing here. Whatever your reason for wanting to change your name in Florida, it’s your business. Unless, you are motivated by reasons more nefarious. There are those who think they can escape their criminal past or hide from debt by applying for a name change in Florida. To help detect these individuals, there are safeguards built in to the Florida name change paperwork, and name change procedures, that must be met before a judge will sign the order for new legal name in the State of Florida. The Florida Petition for Name Change (Florida Supreme Court Approved Form(s) 12.982) go into considerable detail regarding where you have lived since birth, your professional life, your employment history, and any bankruptcy issues you may have had. You may have to attach additional pages when filling out Florida name change forms. Once your name change documents are complete, you’ll have to file them with the court. Some courts want you to file proposed orders for the judge with your initial filing, some want you to bring the proposed name change orders to your final hearing. Unfortunately, every Florida county can have slightly different procedures. Another safeguard in the Florida name change process is the requirement that adults go state and federal criminal background checks. You will have to be fingerprinted, usually at your local sheriff’s office, and pay a fee to have your fingerprints examined by state and federal government. Don’t worry, this all happens faster than you think. We will take care of providing you with all of the procedural information for LiveScan of your fingerprints and for starting your background check. The time that it takes for your name change to become final will vary between Florida counties. Some counties are busier than others, and some county courts are better organized than others. You should plan on at least ninety days. We have seen it take as few as thirty days and as long as six months. It’s best to get started as soon as possible, and make an extra effort to insure that your Florida court forms are filled out properly. We want your name change in Florida to go quickly and smoothly. Filing fees may vary slightly from county to county, but they average around $400. If you have a limited income and assets, you may qualify to have the filing fees waived by the clerk of court. If you think you qualify, complete a Florida Application for Determination of Civil Indigent Status. We have a page on our website that has information regarding Florida court filing fees and waivers. Please call us to discuss how we can prepare and file ALL the required legal documents and forms for a Florida name change. If you’d like to get stated right away, just click on the below questionnaire link. This questionnaire will collect information that we need to get prepare your name change forms. In the meantime, please call us with any procedural questions that you have.